WASHINGTON D.C. (Eagle News Service) — Minister of the Iglesia Ni Cristo, Matt Talens, would have never guessed that answering his phone one Saturday morning in October 2015 in his chapel office in Philadelphia, Pennsylvania, USA, would eventually lead to the first-ever baptism of the Iglesia Ni Cristo in Monrovia, Liberia, Africa. On the other end of the line was Joseph Crusoe who picked up a magazine of the Church at a local eatery in Monrovia days before. Crusoe started calling congregations of the Church that were listed in the directory of God’s Message, the Church’s official magazine. The Philadelphia congregation sent a package to Crusoe filled with other issues of the God’s Message Magazine as well as other literature about the Church. Crusoe shared the reading materials with his wife, Amelia. He and his wife shared them with their friends and neighbors. 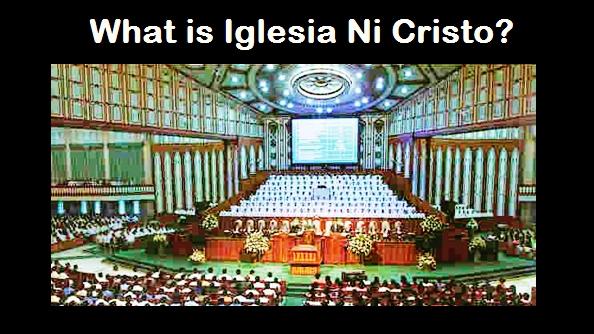 From reading, it progressed to telephone calls and eventually to video conferences wherein ministers of the Church taught them the fundamental beliefs of the Iglesia Ni Cristo or Church of Christ. “Brother Joseph told us ‘We believe! Please ask Brother Eduardo Manalo (Executive Minister of the Iglesia Ni Cristo) to establish a congregation here in Monrovia’,” said Brother Talens. The desire of the Crusoes as well as that of their friends and neighbors were fulfilled. The Iglesia Ni Cristo held its first baptism in the country of Liberia on Tuesday, May 16, 2017, where 25 people were baptized into the Church. Brother Alex Batulan, the Church’s District Minister overseeing Africa, officiated the baptism. 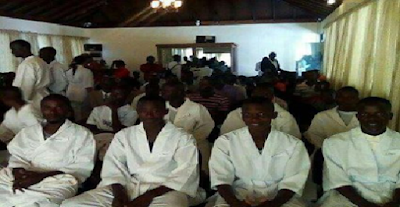 Another 80 Liberians are now awaiting to be baptized into the Church in the coming months. And now, since there are baptized members in this place, the Church is in the process of officially establishing Monrovia as a local congregation. The Church’s growth in Africa has been described as phenomenal as the mission of this global church continues to intensify worldwide.